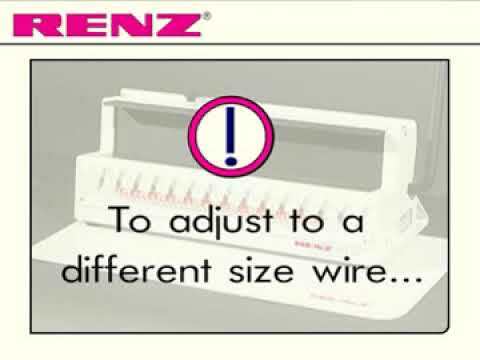 The RENZ WBS 360 is a manual closing machine for wire comb binding. The WBS 360 is for closing RENZ RING WIRE® wire comb elements from 3/16 inches - 1 1/2 inches (5,5 - 38 mm), independent of pitch, working width 360 mm. When connected to the desk top punch, DTP 340 M, the WBS 360 module becomes a powerful and space-saving punching and binding system.